FAQ Timebanking – Where your Time is Valuable! Happy 2019 – we hope you’ve had a relaxing and rejuvinating break over January. Hutt Timebank is back with a burst of energy and we’ve got lots of awesome events and workshops coming up this year. Click here for Events and Workshops. Also log in and check out the latest offers and requests if you’re keen to earn some time credits helping others or need help yourself. Remember if you’ve had no replies to your offers or requests contact Kirsten or Alisa at and we’ll do our best to help you find a connection. 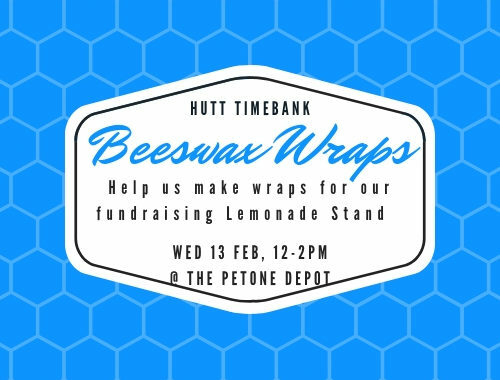 One of our big fundraising events of the year is happening at The Petone Fair on Saturday, 16th Feb – the Fabulous Hutt Timebank Lemonade Stand! If you can help us on the day then click here and let us know. P.S. It’s a fun way to earn time credits! 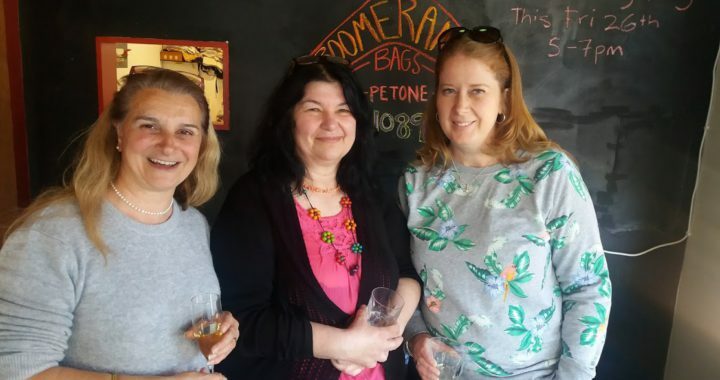 We’re looking forward to catching up with lots of you at our first social catch up for the year at the Sprig & Fern Petone on Wednesday, 6th March from 7pm – see you there! Lovely to see so many of you at our end of year drinks last Saturday – thanks for coming along! 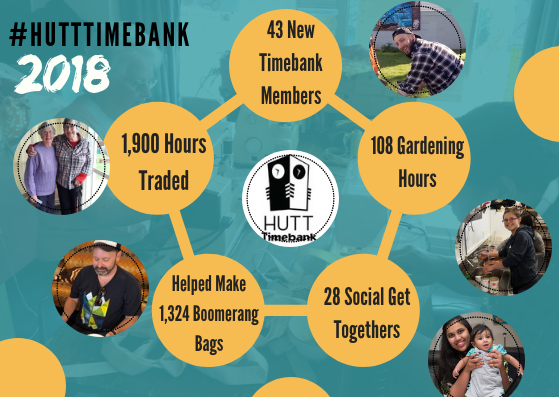 Hutt Timebank has had a great 2018, and we’re looking forward to even more sharing time and connecting with each other in 2019. Don’t forget you can spend your time credits on some of the wonderful Christmas pressie offers from Hutt Timebank members, but you’ll need to get in quick as these have proved very popular over the past few weeks. 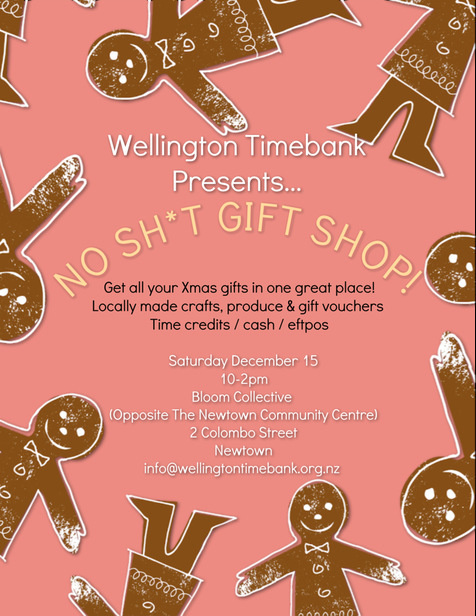 Wellington Timebank’s “No Sh*t Gfit Shop” is also coming up this weekend – another nice opportunity to utilise your Timebank membership. They’ll be accepting Hutt Timebank members credits so head along and check it out. Alisa and Kirsten are taking a break over summer and will be back on board at the end of January. For those of you who are around over summer, keep on trading and we’ll see you in 2019! I’m not entirely sure where this year has gone, but now it’s November and the end of the year will soon be upon us…Hutt Timebank is celebrating 2018 with our end of year drinks at the Queen of Jackson in Petone, 3pm on Saturday 1 December (this is also our annual karma fundraiser, where you can ‘buy’ your beer for a cash donation and all proceeds go to Hutt Timebank) – PLEASE JOIN US!! All welcome so bring your friends and family along too (click here for our facebook event). 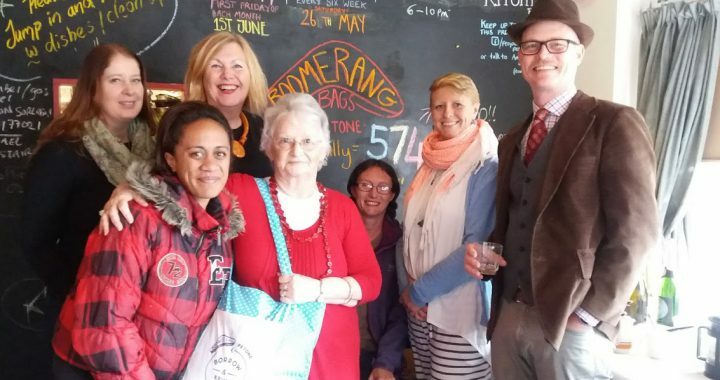 Before we hit the end of the year, we have our Community Connect lunch in Naenae on 21 November. This month we have a really interesting speaker – Lauren from Trade School Kitchen will be coming along to tell us about their new cafe in Naenae which provides training in hospitality, and a bright future, to those with a prison background. And finally, a very warm welcome to our new members this month – Wendy, Simon and Kelsey. Yay it’s spring…I love the change of season and even if it doesn’t always feel like the weather is getting closer to summer, the blossom on my plum tree and longer days are welcome signs! Big thanks to all of you who came along to support our Mama Mia movie fundraiser last month – we made a profit of $990, but more importantly it was a fun (although a little rowdy!) evening. This month we have lots of opportunities coming up for connecting with each other. 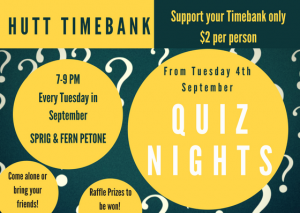 Alisa and I hope to see you at our quiz nights on Tuesdays at the Sprig and Fern Petone – these are a nice way to have some fun together, and are also great fundraisers for the Timebank. Bring some mates and form a team, or just turn up and we’ll pop you in a Timebank team – only $2 per person (maxmum of 6 per team). Quiz starts at 7pm but it’s a good idea to be there between 6.30/6.45 to secure a table. 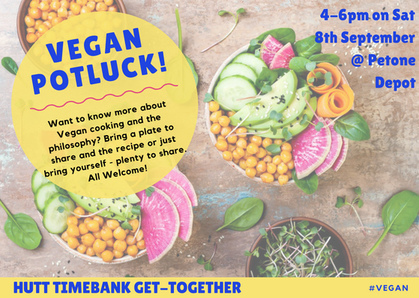 We also have a vegan pot luck dinner coming up on 8th Sept, from 4-6pm at The Petone Depot, Doreen Doolan Mall (near Petone Library). Bring some food and the recipe to share. Gold coin koha for The Depot. Our regular community connect lunch at Wesley Village in Naenae is on 19th September. We’d love you to help us promote our events, so CLICK HERE for our facebook events page and please share these events with your friends and family. 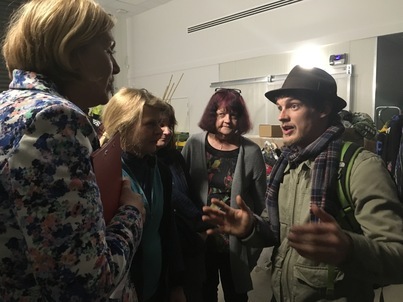 We continue to see our Timebank grow and thrive, but remember Timebanking only works when you as members make it work by participating in trading and events. So if you haven’t traded for a while, do have a think about something you’d like help with, or something you’re able to share with others and pop up a request or an offer. Alternatively, have a go at responding to someone else’s request or offer – and if you need any help at all with this PLEASE contact me – I am more than happy to give you a hand using community weaver (or re-set your password). And finally, a very warm welcome to our new members this month – Julia, Liz, Karina, Ellen, and Sarah. 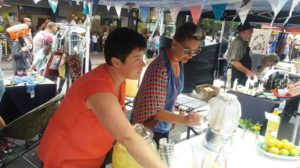 August News: I can hardly believe it’s August already, the year is flying by and Timebank activities are keeping Alisa and I happily on our toes! 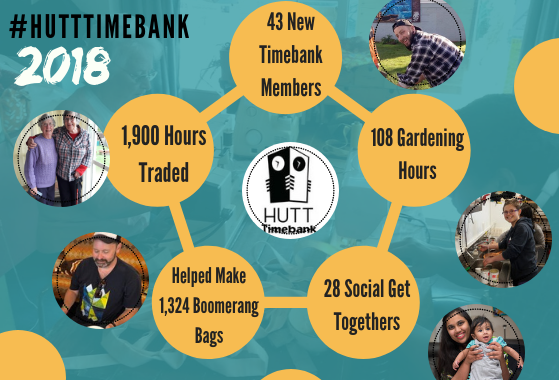 Hutt Timebank is all about connecting people and since we began in 2012, a whopping 5000 hours have been exchanged (5054.25 to be exact at the time I’m writing this) – that’s a lot of people powered community building going on!! It’s super heartwarming to see the trades occurring through our Timebank as they represent such a wealth of experience, skills and goodwill that is being shared among us. If you haven’t yet started trading, or haven’t traded for a while – now is a pretty good time to start as Maria has just posted an offer for her chocolates. Click here to Log In. If you’ve forgotten your password it’s super easy to reset it – just click on the ‘forgot password’ button and you’ll be sorted. 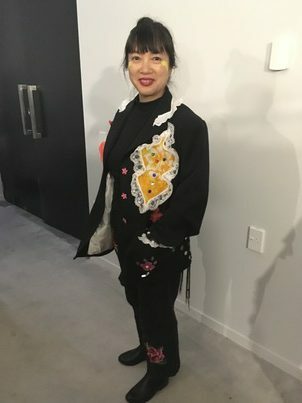 Community Connect Lunch: 15 August. Ageing Well Room, Wesley Village, 249 Rata Street Naenae. All Welcome. Social Quiz Nights at the Sprig and Fern Petone – every Tuesday evening in September. Get there between 6.30 and 6.45 for a 7pm start. Only $2 each. And finally, a very warm welcome to our new members – Angus and Allison. Happy Matariki season to you all, hope you enjoyed the sunny and still (although a little chilly) days we had last week, hopefully we’ll get some more in the coming month! 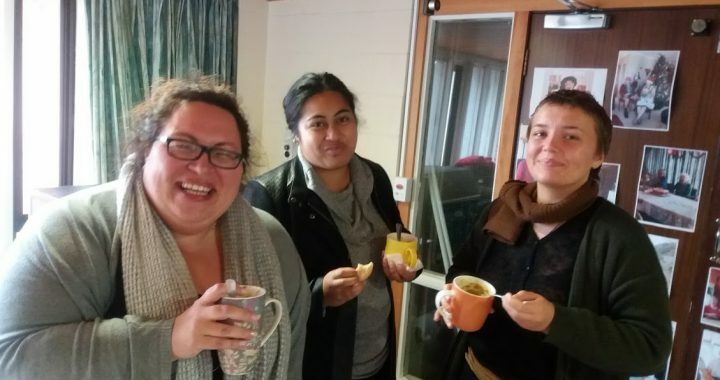 Thanks to those of you who came along and enjoyed hearty soup, warm company and fun games last week at The Petone Depot, it was very pleasant to spend the winter solstice evening with you all.